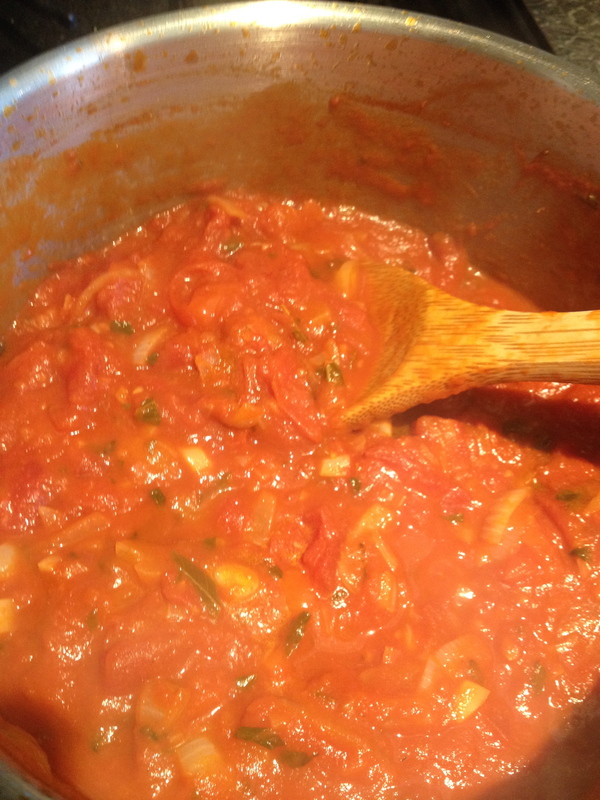 This is an easy, tasty recipe for Tomato sauce and is great on Pizza or pasta or even toast! Chop the garlic and onion and fry gently in the olive oil. Add the tomatoes and cook until the onions are soft and slightly brown. I like to add the herbs at this point and give it a really good stir. I think this gives more flavour than adding later. Also I chop them quite a lot so the flavour can really get into the whole sauce, but you can leave them chunkier if you like. Next pour in the tin tomatoes, stir and simmer for a good 25 mins. 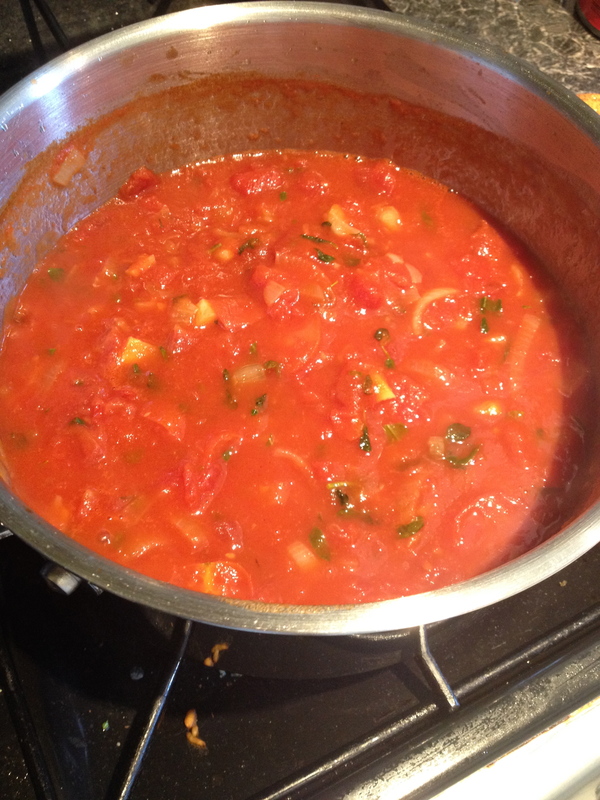 Once the mixture has turned from liquid and tomatoes to a nice thick consistency, it’s ready! 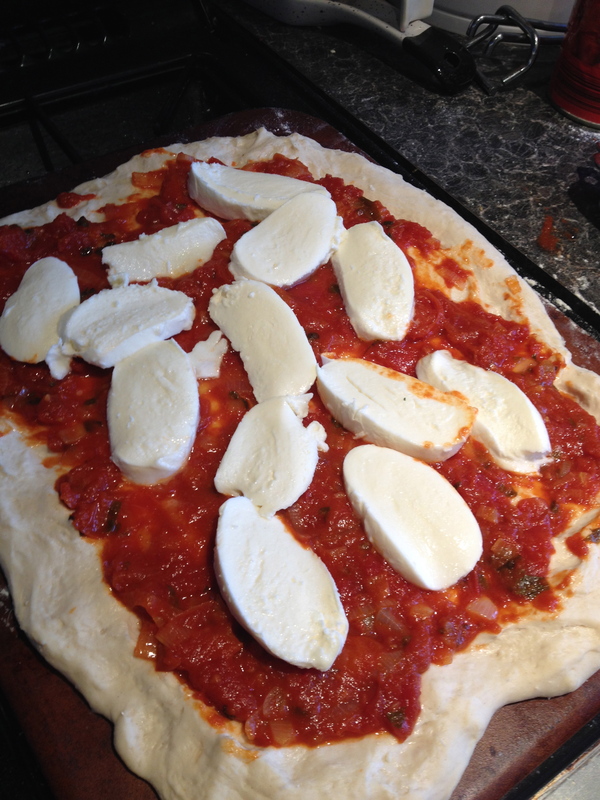 Cool and store in individual portions or get cracking and spread it on your pizza base! Can be fridged for a week or frozen for a month. So for the last two weeks I’ve been trialling cloth nappies. Thanks to the wonderful Jen at Exeter Babies for providing me with the free trial kit and all her great advice and help. If you are in the Devon area and you want to have a go this is the perfect way to get started as we are really lucky to have The Devon Real Nappy Project. 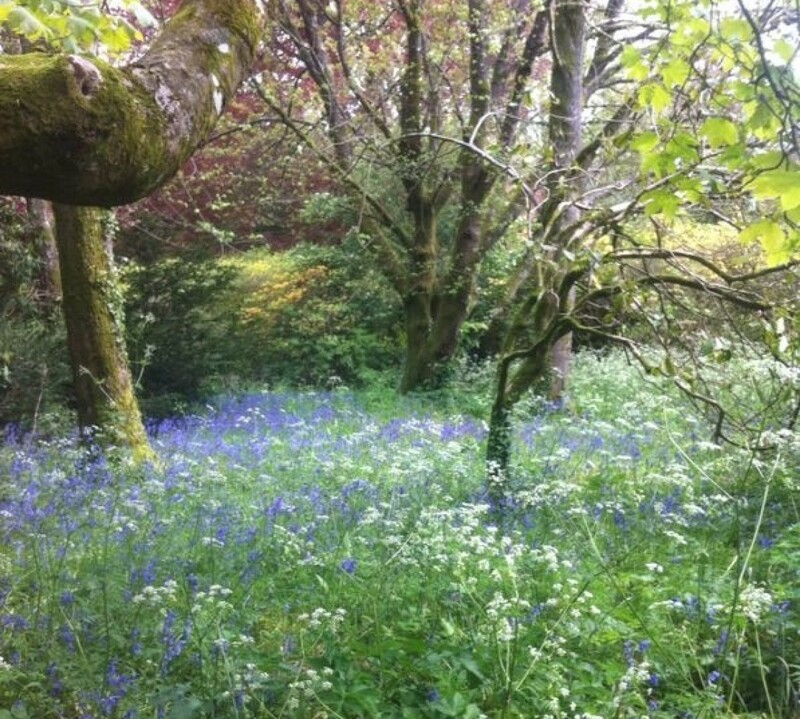 This post is a real account of how my last two weeks have gone in trialling the cloth! These are real moments that have happened over the last two weeks, trying out the different types of cloth nappies is not for the faint hearted and you have to be prepared for some messy moments. The good news is that it didn’t take long for me to figure out which types were good and which types were definitely not for us. In total we tried Tot’s bots, bum genius, lollipop/pop “n” gro brands in different styles. The world of real nappies can be very daunting and I’m definitely not an expert so if you want to read up on the different types have a read of the nappy section on The Devon Real Nappy Project. Personally we didn’t get on with the all in ones at all. I don’t know if it was Penny’s shape or if I couldn’t get the fit right but these were terrible for leaking, regardless of which make I was using. The pocket nappies were much more successful, it was still a bit of trial and error to get the sizing right but with a bit of perseverance, I’m really pleased with the pocket system and touch wood we’ve been leak free for a while now. To put that in perspective I would normally spend approx £35 per month on disposables (and that was with the deals!) and I have spent a total of £58.60 on nappies that will last the rest of Penny’s nappy time. PLUS I can use them again if we have another baby. As the nappies are made with a micro fleece, they dry in super quick time which is really handy as we don’t have a tumble dryer. I bought one of those fold up standalone airers and I just peg everything up and leave it in the sunshine and huzzah, dry fresh nappies. Currently I do two nappy washes a week and I chuck in all the muslins, nappies and cloth wipes together to make it up to a full load. I did try using fleece liners on top of the nappies to make it easier to deal with poo, but this seemed to make Penny hot and cause nappy rash so I’m currently trying other materials for liners – I’ll update this post if I find anything else that works! See Week Four for more on baby bums! If you want to have a go but still feel a bit nervous, why not try going to a local Nappuccino where you can get lots of free advice, a trial kit and a good natter with some other Mummy’s all served up with a hot beverage and a biscuit. Pour the coconut milk into a measuring jug or batter bowl. Chop your fruit into small pieces . Mix into the milk and pour into the lolly moulds. Make sure you leave a good inch of the space at the top to put the lolly top on, otherwise it’ll leak everywhere and you won’t be able to get the lollies out! Once the tops are on, place upright in the freezer. They should be done after a couple of hours. If you can’t get the lollies to pop out straight away, give them 5 minutes and they’ll come out easily. I like this recipe because it’s really nice to have something creamy and cold for the summer months that isn’t traditional sugar laden ice cream! Great for kids too as it feels like a really nice treat, but in fact you’re feeding them nutritious fruit and coconut milk. Commence evil Mum laugh! It’s also much cheaper than shop bought lollies, repeat evil laugh! You can try any fruit you like too, berries are great because they spread evenly in the milk – just make sure whatever you use is chopped small so it doesn’t jam in the mould. Watch out for brain freeze! Babies Bottoms are indeed as squishy and beautiful and soft as those sickly nappy adverts would have you believe. UNTIL the horror of nappy rash strikes. Red, sore, bumpy, poor little babies! If we as grown ups had such a rash we wouldn’t sit down unless we had a very big fluffy cushion to sit on and we would constantly bemoan our plight. Luckily my plucky little ten month old hasn’t suffered too badly so far. Now teething is causing some proper sore bumness. Anyway I’ve been desperately trying to find solutions for Penny that are more earth friendly than the traditional thick chemical filled pastes of old. I feel that they are very expensive and the ingredients list is as long as my arm and unpronounceable to boot. After a bit of research I was delighted that the answer landed in my inbox via the Moral Fibres blog post on the 21 uses of coconut oil. One use is for nappy rash! I had coconut oil in my kitchen cupboard so I tested it straight away. I found you only need a really tiny bit as it kind of “melts” onto the skin. It healed a pretty nasty bout of nappy rash in double quick time and I can use it as a barrier cream as well. I would call this a win for Penny and the environment! Now I just carry some round in a small pot in the changing bag. Ive also found it’s really good for dry skin too and it’s healed my “washing up” hands beautifully. Still on the topic of baby bums, I’ve also switched to cloth wipes instead of disposables. I was sure that the chemicals in the disposable wipes were not helping with nappy rash as I found they were drying out my hands too! I decided to buy a starter kit from cheeky wipes as it came with the fresh and mucky box, which is a great help and makes very sure that there is no confusion on the “what needs to be washed” front. Cloth wipes have been a brilliant switch. As they can just go in with the normal wash, it doesn’t cost me any more in washing and they dry really quickly. But if I’m in a rush I can just use them straight away as you dampen them anyway before loading up the box. I find they are actually much better for cleaning up baby bums than the disposables so it’s another win all round. Plus the cost benefit will be even greater if our family grows as they will last quite a few years. Once the baby years are behind us I can use them for general flannel use too. I’ve been so pleased with this change that I’m now trying out cloth nappies. I’ll post about this once we’ve figured it out and let you know how we get on. I’m still trying to figure out the different types!